In lieu of U12 academy, the US is introducing a standards-based system (Player Development Initiatives) which it will use to encourage clubs to follow with their top tier U12 teams. The USSF will continue to oversee the academy licensing programme for the U-13/14 age group and the U-15 to U-18 age groups. The removal of academy status at U12, which for some clubs means to remove academy status altogether, stands to benefit non-academy clubs. The academy structure served as a closed league that gave a select group of clubs the power to draw talent from other clubs upon the promise of an elite, protected playing circuit. Non-academy clubs will now have until U13 to develop their players and teams before academies can lure top players with a service to which most clubs are not entitled. 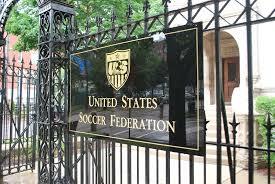 This change has financial implications for youth soccer teams and players. For clubs without academies, it means more time with kids before they are lured away with a golden ticket; for academies, it means less burden to invest in younger kids; for parents of enthusiastic players, it means an additional year of jostling for position in the race to academy. Youth soccer has become big business with high stakes in the US. There is an expansive and self-funding youth club system that supports thousands of professional coaches and officials across the country. The prospect of a lucrative payoff for investment in a child’s youth soccer education has created significant financial incentives for families to spend on their child’s soccer education. In Southern California, a hotbed for US soccer talent and home to two of only 23 MLS team, a year’s worth of club soccer regularly costs well over $2,000; however, these expenditures can pay for themselves in the form of a soccer scholarship to university, which can end up saving families in excess of $200,000 worth of education costs ($50,000 per year for four years at elite schools). This puts high reward on placing children in clubs that can give players college-coach exposure. While the US purports to hold dear a capitalist meritocracy, its soccer organisation is less free market and more controlled oligarchy. Academies are an extension of the MLS closed leagues that invites only certain clubs to the party, and protects their status therein. The US academy structure is similar but crucially different to the academy structure in other nations. While other nations’ academies are most often the youth arm of senior teams, many US youth academies have no senior team. Many clubs with academies are free-floating not-for-profit organizations with vast revenue streams. In a world where the MLS withholds solidarity payments (which are essentially rewards to youth clubs who develop professional players), the end game for these organizations is self-sustenance. The end game for the players in these organizations becomes a college scholarship. While the merits of this approach is debatable, as is pay-to-play more generally, it is certain that there is a financial consequence for the youth soccer club industry for having a closed academy circuit without professional senior teams. The academy circuit is the surest way to get children the college-exposure they desire. Therefore, clubs with academy status receive first pick of children in the market. They also get second pick (and frequently third). The promise, in exchange for that $2,000+ per year, is the opportunity for promotion to the actual academy team. In this way, U12 clubs with academy could make off with not only the hottest talent in the area, but also the luke-warm and pre-warm talent. Thereby, academies come to rule the club circuit too. The promise of an academy opportunity was flawed in the transition from U12 to U13 though. U12 academies supported a roster of 22-26 full time players across 2 teams. At U13, however, the teams move to 11 aside, and usually to support just one team. Even 22 is a large roster for 13 year-olds when there are 11 starting spots to offer. From U12 to U13, therefore, kids were more likely cut from an academy team than added to it.